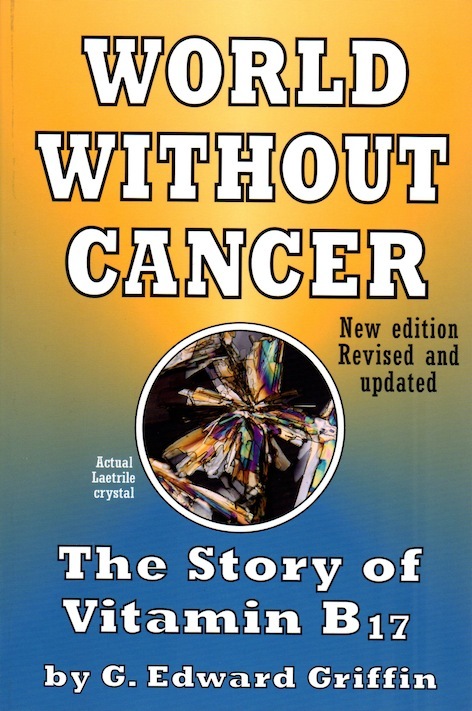 The book gives a clear and revolutionary insight into both science and politics of cancer therapy. G. E. Griffin has lifted the veil of mystery from Laetrile. Yet the evidence is clear that here, at last, is the final answer to the cancer riddle. G. E. Griffin marshals the evidence that cancer is a deficiency disease – like scurvy or pellagra – aggravated by the lack of an essential food compound in modern man’s diet. That substance is vitamin B17. In its purified form developed for cancer therapy, it is known as Laetrile. This story is not approved by orthodox medicine. The FDA, THE AMA, and the American Cancer Society have labeled it fraud and quackery.